This article outlines how to add products using the Recently Purchased search to your Quote record. Quite often your customers may wish to purchase particular products that they have recently purchased from you beforehand. To help you find these products efficiently & add them to your Quote, we have the Recently Purchased Search. This search can also be helpful when trying to Upsell to the customer by checking if they required anymore of the previously purchased product. The Recently Purchased Search can be accessed by clicking the 'Search' option within the Product Id field. By clicking the Search option a more advanced product search window will open. Using the drop-down option you can select the Recently Purchased search, which will then list all products that have recently been purchased by this division. 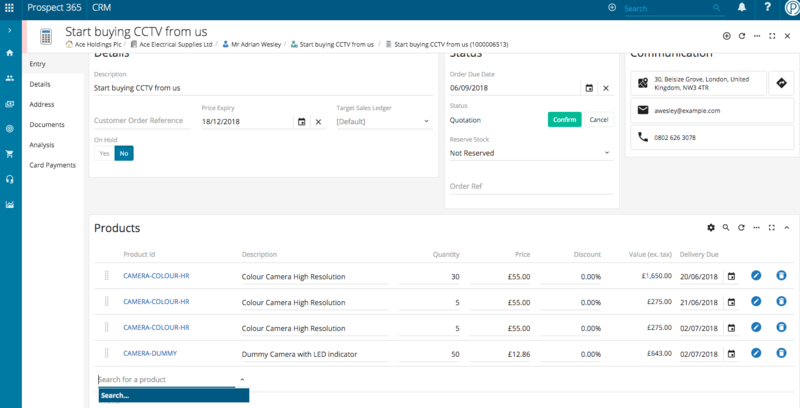 To add the required products to the Quote record, just type in the required quantity followed by clicking 'Add' or 'Add & Close' in the bottom right-hand corner. 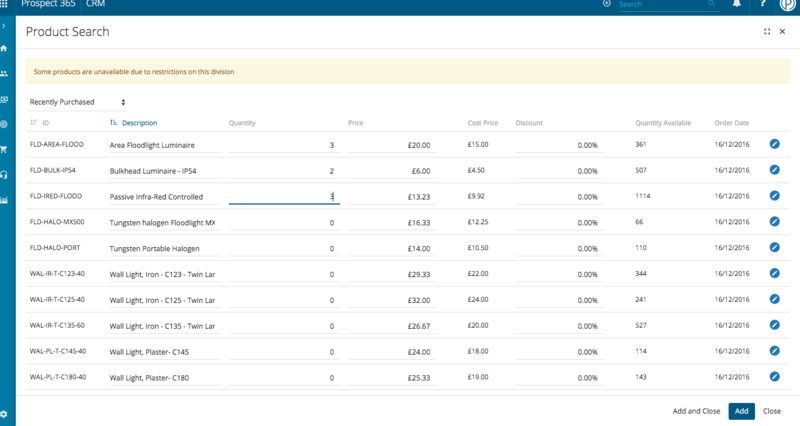 Either option will add your selected products to your Quote. For more information on creating Quote records take a look at our Creating a Quote Under a Division/Contact article.